Only joint accounts with your spouse affect your credit score. 1. How Do Mortgages Affect Your Credit Score? 2. Does a Non-Working Spouse's Credit Affect a Home Loan? 3. Does My Name Have to Be on My Husband's Mortgage? Your credit score is your ticket to borrowing money -- whether it's a mortgage or a charge card, most lenders pull your score before giving you credit. To get the best rates, you need a good score. When you get married, you have a second score to worry about: your spouse's. Getting married doesn't extend to intertwining your credit reports with your new spouse's. Even after you get married, you and your spouse still keep separate credit reports, and therefore separate credit scores. For example, if you had really bad credit, marrying someone with great credit won't improve your credit score. On the flip side, your good credit won't be damaged if your spouse hasn't managed finances well in the past. When you're married, you might decide to open some accounts in both of your names, such as credit cards or a mortgage. 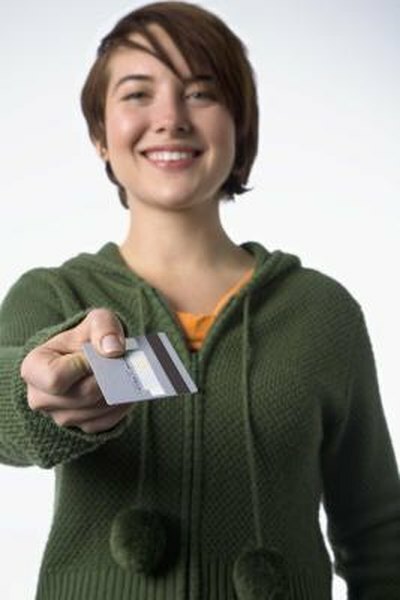 When you apply for a joint account, both of your credit scores are considered. So even though your spouse's score won't affect yours, it will affect your joint applications. For example, if your spouse has a much lower score, you could find yourself paying a much higher interest rate on your mortgage or -- if the score is bad enough -- you may not even be able to get a mortgage in the first place. When you get married, chances are you're going to open a few joint accounts together. Those will affect your credit score -- but only because it's a joint account, not because you're married. For example, say you open a joint credit card with your spouse. If your spouse misses a payment, that hits your credit score, too, even though it wasn't your fault. But, if your spouse makes all the payments on time, you get a boost even though it was your spouse who made the payments. Just because you get married doesn't mean you automatically become joint account holders on all your existing accounts. In addition, there's a difference between adding your spouse as an authorized user and a joint account holder. When you add your spouse as an authorized user, you're still solely responsible for the debts and it might not affect your spouse's credit score. Only when your spouse is a joint account holder are you jointly responsible.